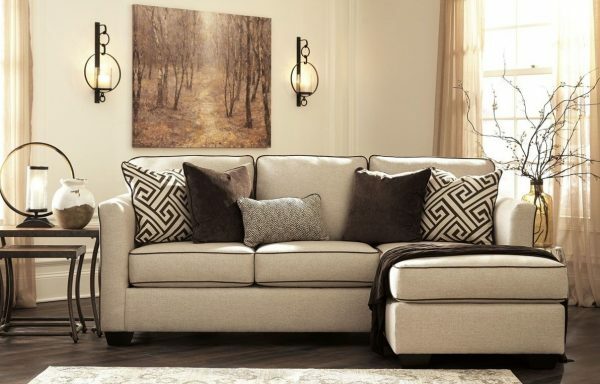 A single line of button-tufting and sloping track arms provide this sofa with a mid-century inspired design. 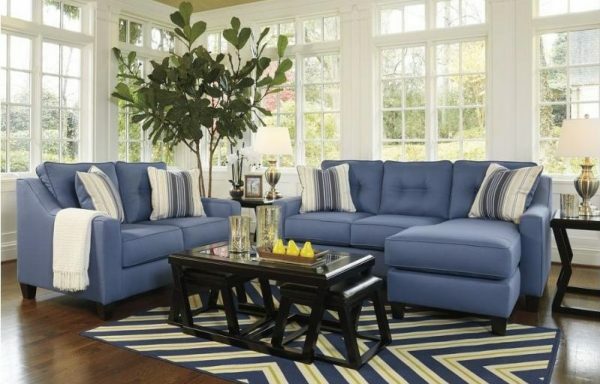 The neutral fabric is perfect for any decor and soft to the touch for a luxurious feel. Two square accent pillows with a retro geometric fabric on one side pull the entire look together.